The PPP module uses the same well data as the rest of DUG Insight. Importing well data into Insight is covered in the Wells chapter. All Pore Pressure Prediction well calibrations and volume calculations are made in True Vertical Depth (sub-sea or sub-SRD). 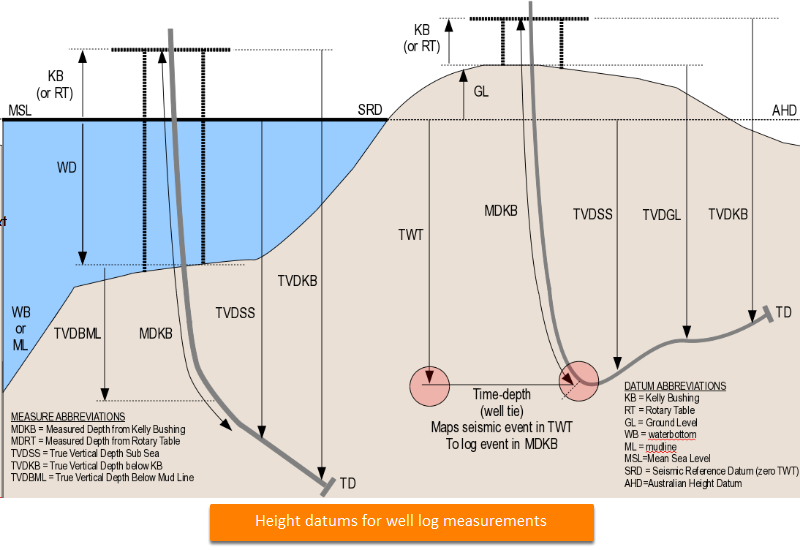 It is important to set the well "Kelly Bushing Height" (KB) and "Water Depth" (WD) correctly, as these are used to calculate burial depth and thus Overburden Pressure (OBP) at the well location.